If you follow Suze Orman – or know someone who does – you might think that you’re completely irresponsible if you don’t haven’t created a revocable living trust. Otherwise, you may not have even heard of the term or have a clue as to what it means. A revocable living trust is a type of legal entity that is used to hold your assets while you’re alive and transfer those assets to beneficiaries named in the trust upon your death. The trust is created during your life, i.e., “living” trust, and can be changed or revoked or amended by you at any time, i.e., “revocable.” Revocable living trusts are commonly referred to as revocable trusts or living trusts. After you create the trust, you can transfer assets into the trust and name the trust as the beneficiary of life insurance policies or other assets. Assets held by the trust, or left to the trust, bypass probate – the judicial process of transferring a person’s property to his or her heirs upon the person’s death. The trust can also provide for a designated person to manage the trust assets in the event of your incapacity. When talking about revocable trusts and probate, it is helpful to distinguish between probate assets and non-probate assets. The term “probate assets” refers to those assets that must go through a court-administered process upon your death. Probate assets include individually-owned real estate, bank accounts, brokerage accounts, business entities, and even your personal assets, such as your furniture. Non-probate assets are transferred upon death pursuant to law (jointly owned real estate is transferred to the surviving owner) or contract (interests in retirement accounts and life insurance are paid to a named beneficiary). You can also transform an asset that is ordinarily a probate asset into a non-probate asset by naming a “payable on death” beneficiary. By transferring probate assets to a revocable trust, you essentially convert those assets from probate assets to non-probate assets so that they are not subject to court administration when you pass away. Why Does Suze Orman Say Everyone Should Have a Revocable Trust? Suze Oman is an ardent proponent of living trusts, claiming that it eliminates extremely high lawyers’ and executors’ fees for property that goes through probate and that probate can take years, while a revocable trust can transfer property outside of probate much more quickly and with few costs. She also asserts that a trust, but not a will, allows someone to manage your assets in the event of incapacity. Is Suze Orman right? Should we all run out and get revocable living trusts to save our family money and a torturous probate process? It depends. Suze Orman has no legal background, so we should take her advice on estate planning matters with a grain of salt. Because misinformation about revocable living trusts is rampant, we thought it would be a good idea to review the actual benefits of a revocable living trust, as well as their drawbacks. Revocable Trusts can provide many benefits. But they’re far from the panacea that many proponents of such trusts make them out to be. Indeed, “living trust mills” are infamous for scamming elderly persons into purchasing such trusts, along with imprudent investment products. So it’s important for anyone considering a living trust to understand their actual benefits and potential drawbacks. Does a Revocable Living Trust Really Save Money on Attorneys’ Fees and Probate Costs? Suze Orman claims that a revocable living trust completely eliminates probate and other costs upon your death. This can be true in certain circumstances, but it certainly isn’t the general rule. First, creating a revocable trust can cost more than twice or three times as much as creating a will, so your up-front costs will be higher with a trust. 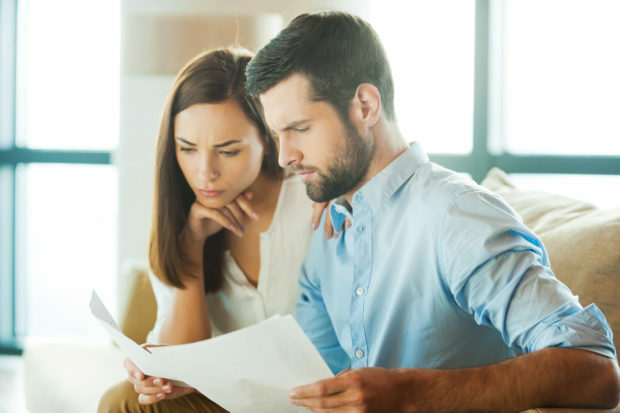 Additionally, in order for a revocable trust to have any effect, it must be “funded,” that is, your probate assets must be transferred to the trust. Any probate assets that are not transferred to the revocable trust will still go through probate. So if the trust is not funded, it will have no effect on the length or costs of probate. An unfunded trust can be thought of as a tree that falls in the forest that no one hears – or as a complete waste of time and money. A failure to fund revocable trusts is a pervasive problem with this type of type of planning. Many people create a revocable trust but don’t transfer any assets to it. Transferring bank accounts and brokerage accounts to a trust can be burdensome and require significant time and paperwork. Transferring real estate to a revocable trust requires a deed and is sometimes prohibited by the mortgage company (or coop board, if you live in New York City). In order to maintain optimal benefits from the trust, any new assets must be purchased in the name of the trust or subsequently transferred to the trust. In short, maintaining the benefits of a trust can be more trouble than most people can be bothered with. Orman doesn’t mention any of this when she talks about these trusts. Even if the trust is funded, it may not save as much money as you’d expect. Orman claims that a trust will eliminate fees charged by executors and attorneys in the probate process. It’s true that no probate costs will be incurred if you have transferred all of your probate assets into the trust. However, a closer analysis of the expenses incurred in probate versus a revocable trust call into question the claim that a revocable trust is always less expensive. Although the executor of an estate is entitled to compensation by law, a trustee is similarly entitled to charge fees for administration of the trust. In both cases, that role is usually filled by a family member who declines the fee. Likewise, in all but the simplest cases, a trustee will require the assistance of an attorney to distribute assets from the trust, so it’s rare that attorneys’ fees would be eliminated entirely. Whether assets are distributed through probate or through a trust, an experienced attorney may also be able save families significant money in income and estate taxes, so avoiding attorneys’ fees can be end up costing more money in the long run. Orman claims that attorneys may not recommend a revocable trust because they want to collect the probate fees when the client dies. She doesn’t consider that attorney fees to set up a revocable living trust are substantially higher than they are to create a will for a client, so it’s unlikely that the attorney would recommend a will in order to potentially receive higher fees when the client dies at some point in the future – which also assumes that the client’s heirs will hire the lawyer who drafted the will when they can choose any lawyer they wish. Does a Revocable Living Trust Save Your Family Money on Taxes? It is a common misconception that revocable trusts can reduce your family’s taxes. Simply put, a revocable trust never saves money on taxes. For both income and estate tax purposes, a revocable trust is treated as if you own the assets in the trust directly. It is as if the trust isn’t there. An irrevocable trust, on the other hand, is frequently used for estate tax planning and sometimes for income tax planning. The idea that a revocable trust protects your assets from creditors is another common myth. Creditors can reach any assets held by the trust as if they were owned by you directly. An irrevocable trust, on the other hand, can provide significant protection from creditors. Is a Revocable Living Trust Necessary for the Management of Your Assets if You Become Incapacitated? Orman also says that a revocable trust is necessary to allow a loved one to manage your assets if you become incapacitated. While it is true that the successor trustee you name in the trust document can take over management of the trust if you become incapacitated, a trust is not the only way to arrange for a trusted person to manage your assets in the event of incapacity. A more common way to authorize someone to access and manage your finances is through a power of attorney. In fact, you should execute a power of attorney even if you have a revocable trust, since it provides broader powers than a trust can provide. For example, if a hospital needs you to sign financial papers, or other legal contracts need your signature, your power of attorney may do so, while a trustee of a revocable living trust generally may not. Can probate be Avoided without a Revocable Trust? In some cases, a revocable trust is not the only way to avoid an expensive or complicated probate proceeding. If the bulk of your assets are “non-probate assets” already, or if you can turn them into non-probate assets, the can avoid court proceedings in any event, and there may be little reason to create a trust. As explained above, any assets that are distributed pursuant to a beneficiary designation, such as retirement accounts and life insurance are “non-probate assets,” meaning that they are transferred outside of your will and the probate process. You can also convert some probate assets into non-probate assets through a payable on death provision. Many financial institutions will allow you to name a person to receive the funds in a bank or brokerage account if you inquire. If you have named to receive the proceeds from the account through a payable-on-death provision, the account will avoid probate. In most cases, there is little to be achieved by transferring these non-probate assets into a revocable trust. If you have bank or brokerage accounts, ask your financial institution if you can designate a beneficiary to receive the assets in the event of your death. Make sure you’ve named beneficiaries for your life insurance and retirement accounts and that you keep such designations up to date. In the absence of a beneficiary, the assets are generally distributed to your estate and end up in the probate process. A revocable living trust does have some benefits; however, they are not for everyone. To help you decide whether it’s the right choice for your family, I’ve outlined the pros and cons to this type of trust below. In most cases, the administration of a revocable trust is faster than the probate process, which can vary from state to state, and even from county to county. In some counties, the court issues Letters Testamentary (the legal documents necessary to distribute estate assets) within weeks. In other places, it can take up to a year. Holding your assets in a revocable trust will generally make it easier for your loved ones to deal with the difficult practicalities of transferring your assets at an emotionally-challenging time. In some locations, a trust will speed up the process significantly, while in others, it will make little difference. Ask your lawyer how long probate generally takes in the county in which you live to determine if a revocable trust would make much difference in your situation. In some states, like California, court fees are significant, while, in other states, such fees are minimal. A trust makes the most sense in states where probate fees are high. A revocable trust may save your family money in attorneys’ fees upon your death; however, the idea that it will eliminate any attorneys’ fees is misleading. Just like administering an estate, distributing assets out of a trust often requires legal assistance, and the legal costs incurred will depend upon the complexity of your assets and your plan for the distribution of those assets, regardless of whether the assets are distributed through a trust or through your will. One of the most significant benefits of a revocable trust is that it prevents the details of your wealth and how it is distributed from becoming part of the public record. In the absence of a revocable trust, most of your assets will be distributed in a public court process (probate, if there is a will; or estate administration, in the absence of a will). Your executor will be required to itemize all the assets that you owned and assign a value to each, which is filed with the court as a public document. If you’d prefer your family’s financial affairs to remain private, a revocable trust is preferable to a will. If you own real estate outside the state in which you live, transferring the property to your heirs will require a second court proceeding in the state in which the property is located. Transferring the property into a revocable trust eliminates the need for a second probate, relieving your loved ones of the hassle of trying to oversee a distant court proceeding. The cost of setting up a revocable trust can be many times the cost of creating a will. If you have minimal assets, the money the trust might save on court fees and legal fees may not be worth the cost of setting up the trust and transferring assets to the trust. Unlike a will, a revocable trust has no effect unless you transfer assets to the trust (often referred to as “funding” the trust). Transferring ownership of bank accounts and real estate to the trust can be costly and burdensome. Every time you purchase a significant asset, you must either purchase it in the name of the trust or subsequently transfer it to the trust. A failure to fund a revocable trust is the most common problem with these types of trusts. If you fail to fund the trust, all your assets will be distributed outside the trust, just as if you had never created it. If you’d rather scrub your bathroom floor than deal with changing names on bank accounts, then a revocable trust might not be the best choice for you. Whether a revocable trust is right for you depends on your particular circumstances. Are you in a state or county with a lengthy and costly probate process or is the administration of an estate fairly efficient? Is privacy a big concern? Does someone depend on you who would need immediate access to your assets? Do you own property outside the state in which you live? If you answered yes to any of these questions, a revocable trust might be a good choice for you. On the other hand, if you have minimal assets and are scraping to get by, a revocable trust is probably not the best use of your money. Likewise, if the bulk of your assets are in non-probate assets that are distributed by beneficiary designations outside your will (e.g., retirement accounts, life insurance policies) or accounts for which you can name a beneficiary through a payable-on-death provision, a revocable trust may not provide much benefit. In these cases, you might be better off executing a simple will, and saving the money you’d spend on a trust.